Visionary Roleplay is a community based around bringing the best possible roleplay experience to all of our players whether you want to be a civilian working as a delivery driver or if you want to sell drugs to the people around the city or if you want to be part of our emergency personnel working to protect the people of San Andreas. We have many opportunities for our members to get involved with the community. We offer our members the best custom vehicles both civilian and law enforcement, the latest FiveM scripts and tools to enhance roleplaying abilities. What makes Visionary Roleplay different? We do not have departments within our law enforcement which means you can join in and roleplay as Los Santos Police Department, Blaine County Sheriff, or San Andreas State Police. We have many vehicles that were made for our server or were private releases which means our police cars are some of the best non-els cars you can get your hands on. We have a very balanced economy were our vehicles cost realistic prices and jobs generally pay around 20-30k per jobs making the server have an economy but easy progression to get into the roleplay. We have many custom vehicles for civilians to use with realistic prices. Along with the custom vehicles we have many custom rims to enhance the customization of all vehicles. We do have scheduled patrol times. This being said roleplay on our server is 24/7 so at any point you can connect and start roleplaying immediately! We are always working to make the server better from adding new features to fixing bugs in a timely manner. We have many departments that you can choose from! We hope to see you on the streets of San Andreas soon! 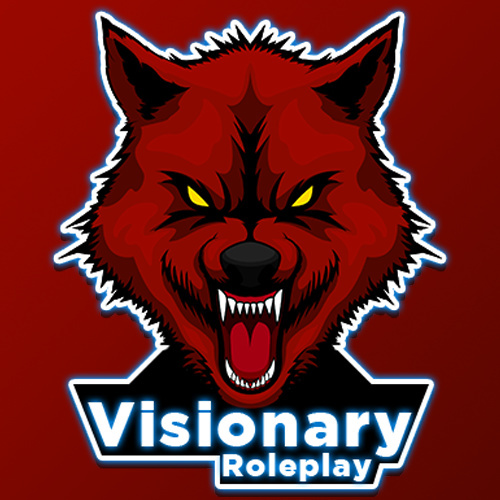 This is the relaunch of Visionary Roleplay. We have quite a few active people for only reopening two days ago. Average amount of people on at peak is 7-8 people and growing daily. Just upgraded server and moved to a new host. hope this solves the issue we were have after hitting 20+ people online. First traffic stop in the 2019 Silverado! Here some of our Super and Sports cars! Come join us here at Visionary Roleplay! We have been averaging 25-32 people at peak time. We are also taking applications for LEO, and Fire/EMS. Join the discord to find out how to put an application in.